Anyone can spend an afternoon flipping through a handful of history books and looking at old, dated photos. They could even surf the Internet for a larger, more cohesive collection that would satisfy even the biggest military buff. But how amazing would it feel to personally set foot on the soil where major battles took place? 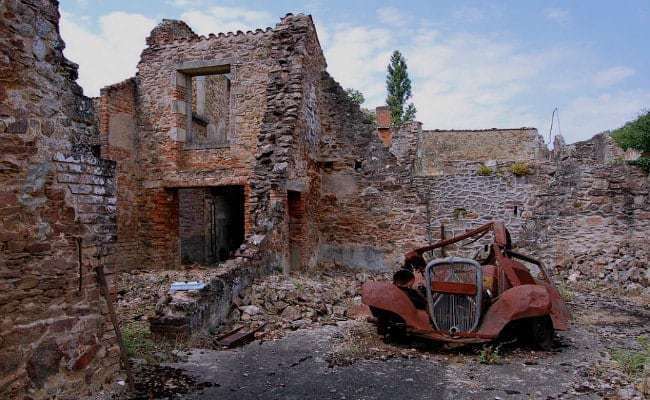 How mind-blowing would it be to come face to face with some of the historic buildings and landmarks that survived the destructive impact of the war and remain standing today? For anyone interested in experiencing first-hand some of the most important sites in WWII history, read on to discover 10 locations that would be undeniably worth the journey. Significant for its role in Operation Market Garden, Arnhem Bridge was one of the last hits in a string of areas that became targets for the Allied Forces, who hoped to take them over on their way across Europe. While they successfully made their way to this now-historic site, the bridge ended up being the one location they couldn’t gain control over in the Battle of Arnhem. While it remained standing through this event in September of 1944, Allied troops later returned to destroy it in October, prepared to hinder German supplies from crossing its path at any cost. However, by 1949, the bridge was reconstructed and later named “The John Frostburg” bridge in 1977 to honor the British commander responsible for its defense during the battle. Oskar Schindler’s story has become widely known around the world, his legacy remaining an onscreen classic forever due to Steven Spielberg’s film Schindler’s List. Despite his initial role as a Nazi Party member, Schindler is considered a hero for his part in saving the lives of thousands of Jewish descendants, after giving them jobs in his munitions and enamel factories throughout the war. The administrative building where this work took place made it out of the war, and the factory has since become the home of not only the Krakow Museum of Contemporary Art, but the Historical Museum of the City of Krakow. Learning more about Schindler’s life, his actions throughout the war, and walking the same halls as those who lived through the war makes this site worth a visit. In July, 1942, Jewish families living in France were herded together by French police into the Velodrome, a building that was once the location of an indoor cycling track. Adding up to 13,000 civilians, these poor citizens were forced to endure horrific living conditions without food, water or restroom facilities, before being organized into groups to be carted off to various concentration camps. While the building has since been demolished, a plaque monument dedicated to those affected was created at the spot in 1993, leaving a lasting impression on anyone who stands near its vicinity.